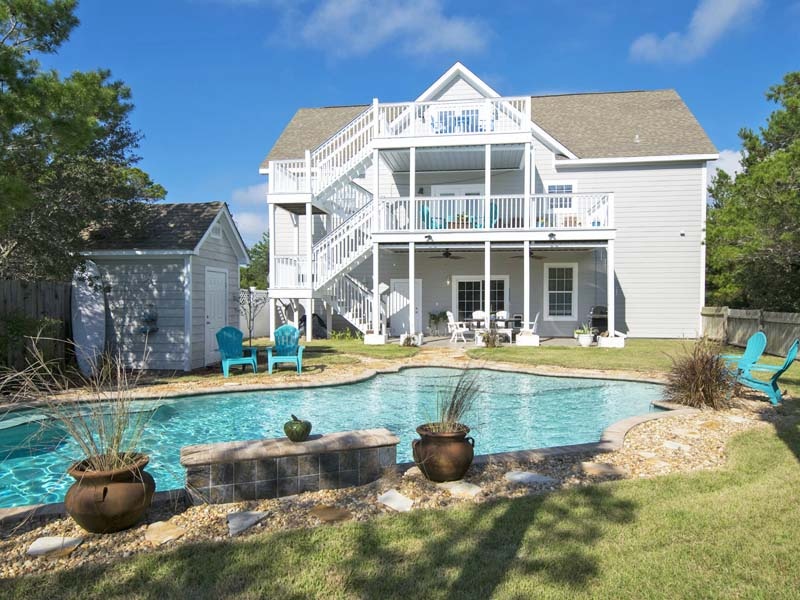 It’s time to get away, and there is no better place to stay than Rolling Dunes on Scenic 30A. 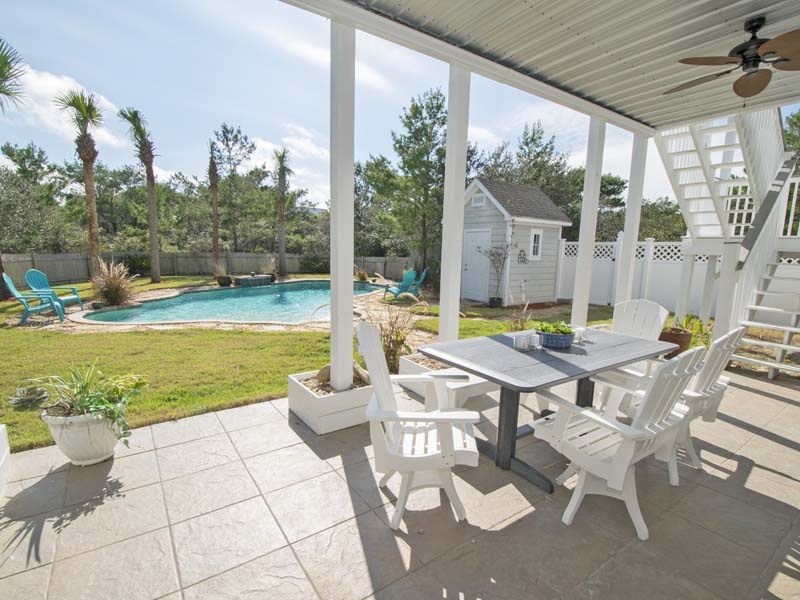 Spend your days in the sand, soaking up some sunshine along the shoreline of the Gulf of Mexico or hanging out in your private, saltwater pool. 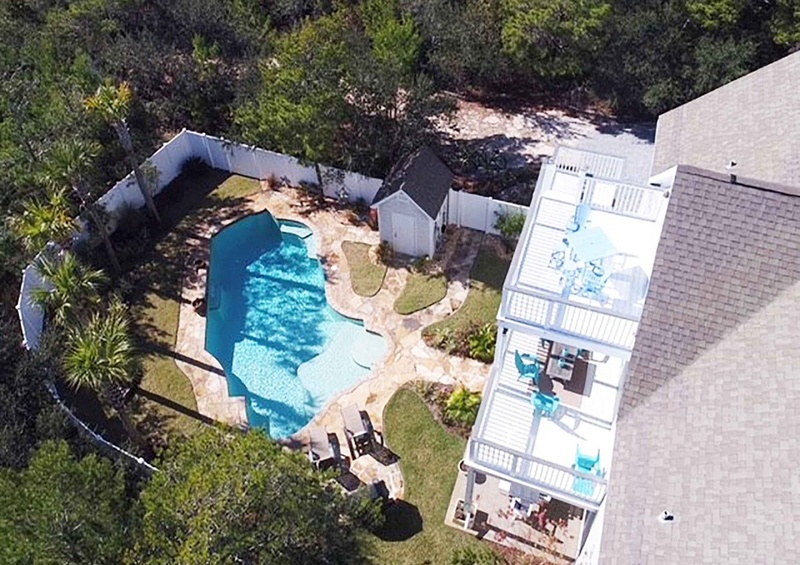 With sleeping accommodations for up to sixteen people, this 30A vacation home is the perfect choice for any kind of group getaway. The first floor features a separate entrance from the rest of the home to the mother-in-law suite, containing a bedroom with a king bed, a bathroom and a full kitchen. 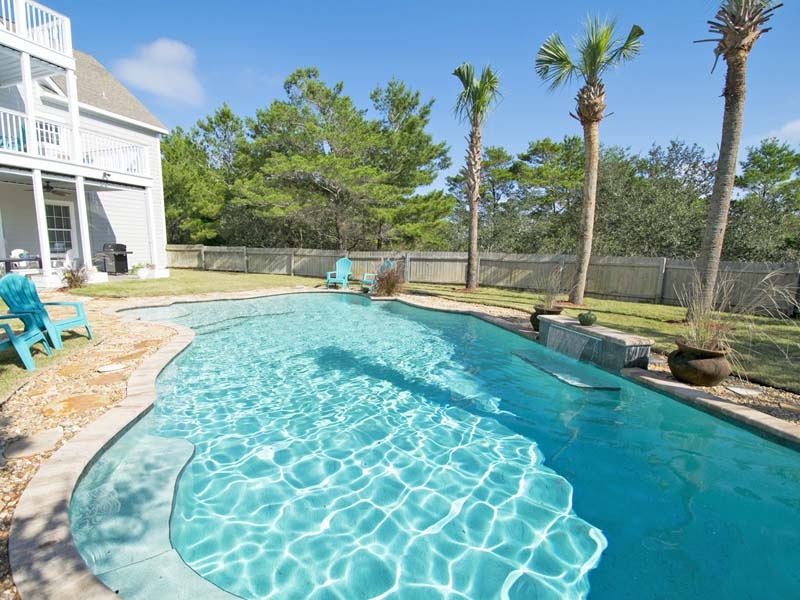 The furnished patio leads out to the private pool in the backyard. 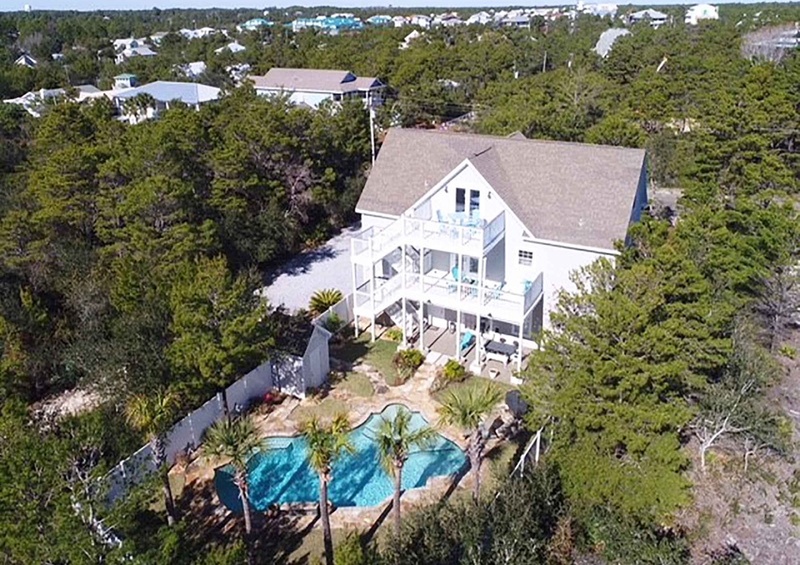 The main level of Rolling Dunes, located on the second floor, contains a spacious living room, a dining area and a full kitchen equipped with high-end stainless steel appliances. The master bedroom suite comes with a plush, king bed and a large, adjoining bathroom with a whirlpool tub and a walk-in shower. Also on the second floor is an additional bedroom containing a king bed and a full bathroom with a walk-in shower. The second-floor balcony offers stunning views of the pool and the surrounding area. Take a short walk up to the third floor which features three additional bedrooms and a second living room. The fourth bedroom comes with a queen, the fifth bedroom features two queen beds and the bunk room is furnished with two sets of twin bunks. 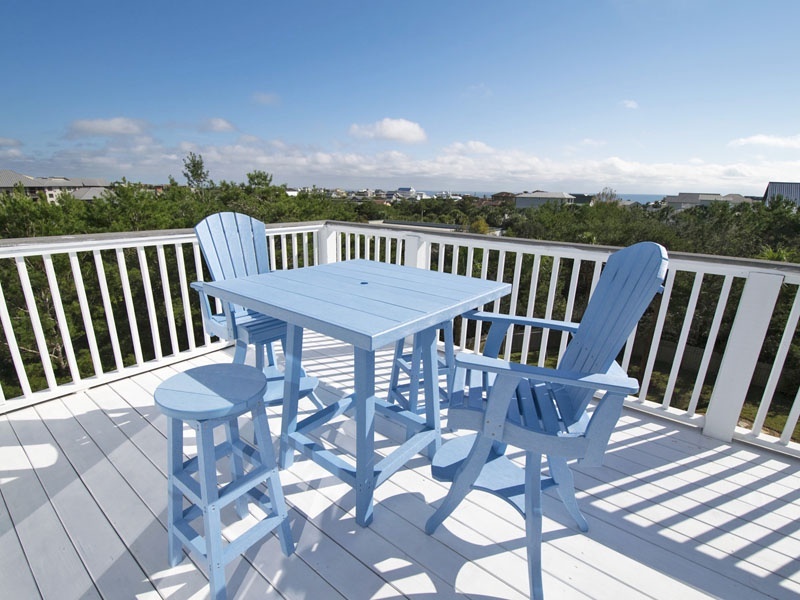 Relax on the private balcony on the top floor and savor views of the Gulf of Mexico and the stunning beach community of Santa Rosa Beach, Florida. Dine on fresh seafood and other delectable meals at nearby restaurants on 30A after stopping by some of the eclectic boutiques lining the scenic streets of South Walton. 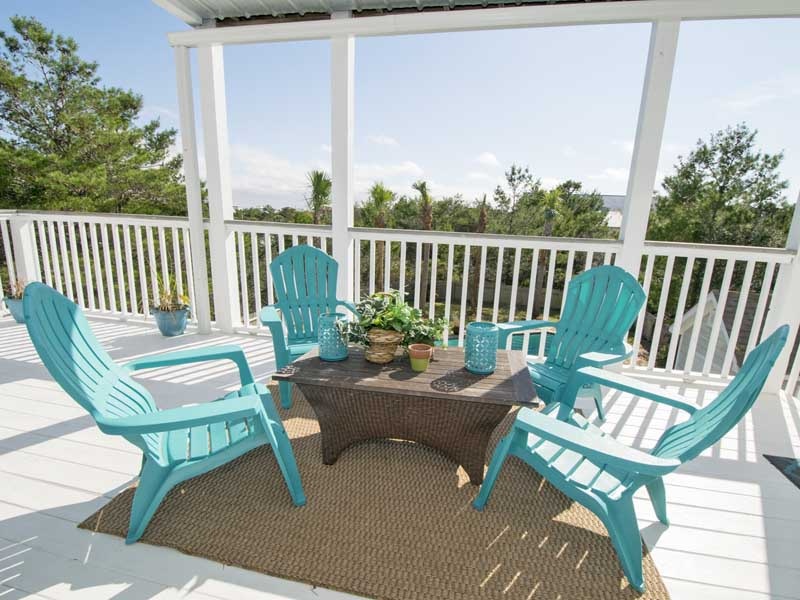 No matter how you choose to spend your days, you will surely enjoy your vacation at Rolling Dunes.